The beetles onward march was generally kept in check by long and cold winters, but with warmer temperatures (especially in the winter months) and a longer season for reproduction bark beetle populations have been gaining ground, even making their way into parts of the boreal forest of North America. Not only do the warmer temperatures favour the bark beetles but warmth (and drought) weakens trees. 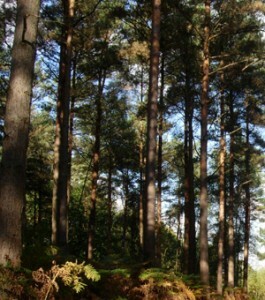 The trees produce less of their protective resins. When the beetles find a weakened or susceptible tree, they release chemicals (pheromones) to attract more beetles. 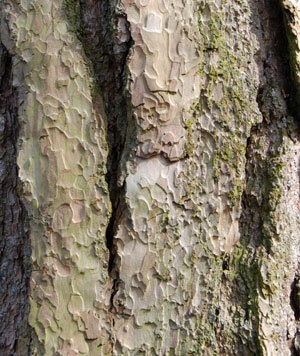 They breed and feed beneath the bark, disrupting the phloem and cambium (which produces new xylem and phloem tissue). This impairs the tree's transport systems and also renders the tree liable to attack by fungi and bacteria. However, some recent work suggests that ultimately the bark beetles may become the victims of their own success as density dependent competition comes into play, that is, finite resources (in terms of the food / space) available can limit an outbreak. A possible plus of the warming climate is a resurgence in the growth the Red Spruce in the North Eastern Forests of North America. Red Spruce was one of the species that was particularly affected by 'acid rain' (sulphur dioxide pollution). It would seems that stricter air quality controls that were introduced in the 1990's, coupled with the warmer temperatures in Autumn, Winter and Spring have resulted in increased growth of the Red Spruce (since circa 2001). Red Spruce is only moderately tolerant to cold but it can "wake up" and take advantage of warm spells in the dormant season. It may be this feature that has enabled its 'revival'.